The Eagles announced Saturday that they interviewed running backs coach Duce Staley for the head coaching position that opened when they fired Chip Kelly. At the least Staley would seem to satisfy owner Jeff Lurie's criteria of relating to today's players and understanding what it takes to be part of the organization's passion. Staley played 10 seasons in the NFL, the first seven with the Eagles, who took the South Carolina running back off the board in the third round of the 1997 draft. 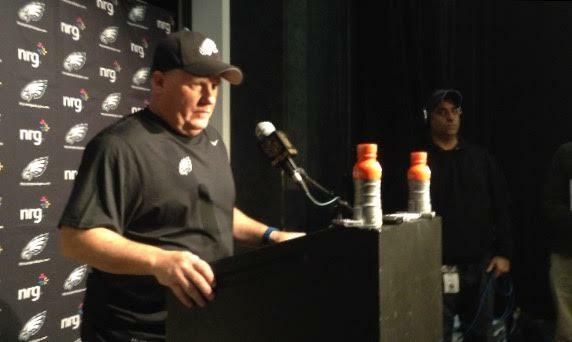 Lurie, at the news conference following the dismissal of Kelly, verbalized what he sought in his next head coach. Bradford questionable; Eagles-Rams in London?